I've always been one for having things on paper rather than online, E-books and kindles we're something I never could get on board with and even now every idea, thought, note I take is always in a notebooks! I'm also quite a sentimental person so when it comes to things like cards for all kinds of occasions I have them saved in boxes dating back years, I love being able to look back at psychical memories. I'd never even considered concepts such as online invitations and cards, so when Paperless Post got in contact asking if I'd like to review their services I was more than intrigued! Straight off the bat I think if you are someone who often has parties, throws events or has a high tech using group of friends and family, Paperless Post is fantastic for you! What impressed me most was the variety of designs the website offers, some even being created by designers if you want a luxury feel. Whatever occasion you need a card or invitation for they have the solution for you, weddings, business needs, leisure parties even stationary to personalise! 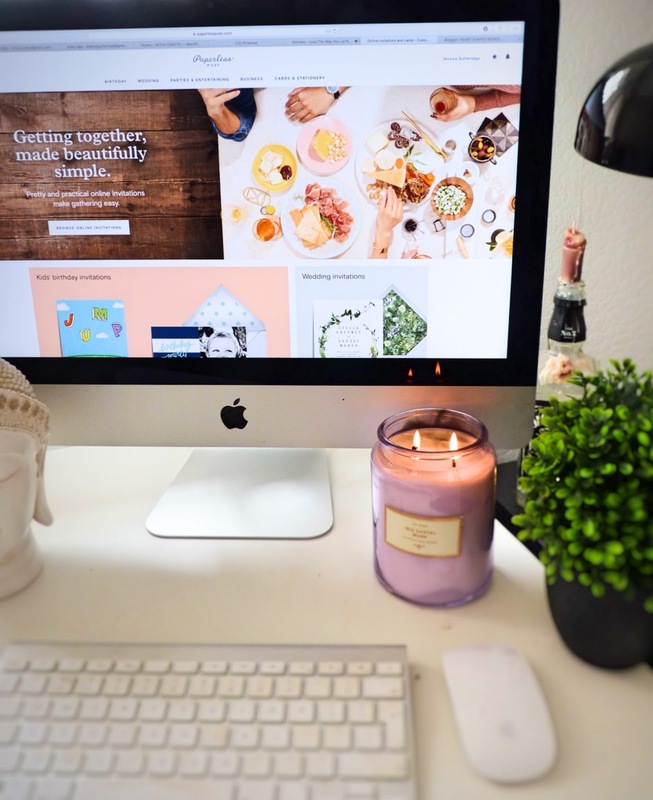 As a blogger I can imagine situations where online invitations would be so handy, event planning would be a breeze where you know you can also create a beautiful aesthetic to send to other bloggers and brands! For more casual use its a fun, quick way to get information out to everyone you need to get in touch with, whether it's wedding news, baby news, or just birthdays! Personally I'm not a planner of events, but I do have a number of birthdays coming up and with my brothers being this month I decided to have a go at sending out my first online card! I found myself browsing the website for at least an hour going over all the designs, finding one after another which would suit my brother perfectly! We've always grown up with Disney films so after finding this Hercules themed card I knew I'd hit the hammer on the nail, I set to the next stage of personalising it to what I wanted. I found the process so quick and easy, after selecting the card you want the website takes you to a customising section so you can add your own touches. You have a front and 'inside' section to your card, an envelop and the site even gives you a preview play button so you can see how the card comes out of the envelop to who ever you send the invitation to. You can customise so many things such as colours, text, fonts, I gave the card a little more meaning by adding 'brother' and our names, along with a birthday themed stamp which I thought was rather cool. I appreciate quirky little things, to be an online birthday card is definitely something different. Being able to customise the card far more than you would with a paper based card is definitely my favourite feature. With all the cards/invitations you send you can keep updated with their retrieval in the post box section under your dashboard, you can even see when they've been viewed! Having an account on the site means you can keep coins which are equal to money to purchase your online cards, AND if you don't quite feel the online concept, you can purchase your cards to be printed via paper for just a little extra! From browsing their website and using it for myself I've definitely come round to power of online invitations. I noticed they also have a range of Halloween cards which is right up my street, so if you're my near and dear, expect to get a lot of spooky goodness in your emails in October! Thankyou so much Paperless post for giving me the opportunity to try out something new and thankyou guys for reading! 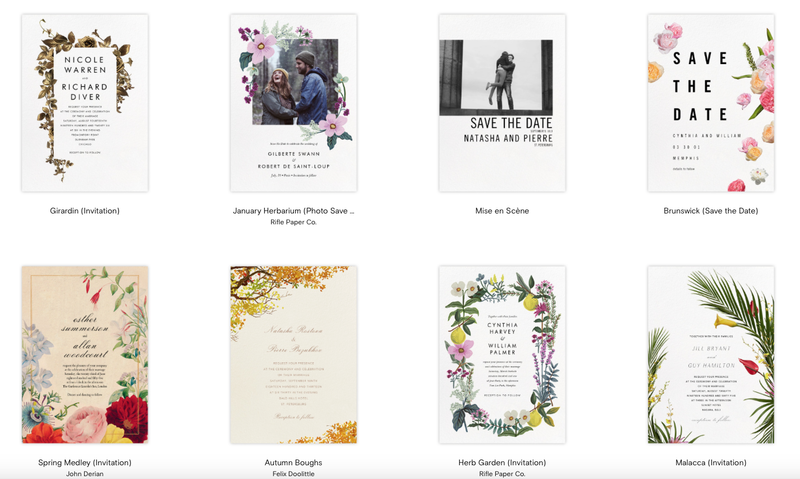 Definitely check them out if you're wanting an online service for your invitations!